I've never been much of a fan of horror as a genre. Blame it on the fact that my parents made me cover my eyes when Donovan turns into a skeleton at the end of Indiana Jones & The Last Crusade or that the only things that I remember from sleepovers as a kid is watching Jason leap out of the water at the end of Friday The 13th, but I'm a peer-through-my-fingers, hide-under-blankets kind of girl when it comes to things that set out to frighten me. I say this as the groundwork for this book because, despite its non-fiction categorization, this might be one of the most genuinely frightening things I've ever read. Well, as has been said so often with true stories, you can't make this stuff up, can you? 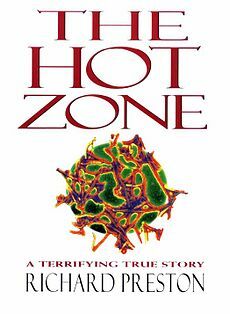 The Hot Zone is part medical text and part narrative; a book about both the discovery of what is classified by those in the know as a Level 4 virus and the resulting outbreak of one such virus in the suburbs of Washington D.C. If you think this sounds familiar, it does, as long as you've seen the movie Outbreak. In that movie Dustin Hoffman has to figure out what is about to kill his ex-wife (that he still loves, of course) because McDreamy brought Marcel the Monkey onto the mainland and said primate is now spreading a disease that makes its victims bleed from everywhere right before they croak. Apparently, the movie was capitalizing on the Ebola scare trend that occurred right after the publishing of this very book. Watching the effects of an Ebola-like virus in a fictional movie is frightening enough, but it gets nowhere near the squeamish-factor of reading about those effects and, as readers are wont to do, imagining that they COULD be happening to you. After reading the first chapter, I swore that if I woke up with a headache the next morning, I was skipping the aspirin and going straight for the Centers for Disease Control, driving myself and wearing a biohazard suit to minimize the damage to other people. In terms of layout, the novel is broken up into 4 sections: The modern origin of the virus (as close as author Richard Preston's research can get to finding a Patient X), the discovery of the outbreak at a "monkey house" in Virginia, the subsequent plan to quarantine the outbreak, and a final epilogue, which sees Preston traveling back to Africa. 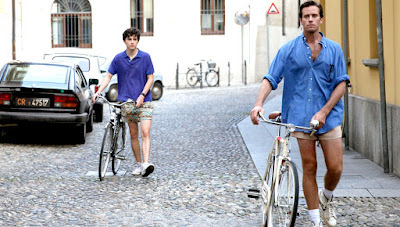 This sort of division lends a sort of theatrical feel to the work, four acts of a play, if you will, and streamline the story nicely, although I did find the final section a bit useless. The first section, "In The Shadow of Mount Elgon" takes the reader to 1980s Africa, specifically to Kitum Cave which lies, ironically enough, in the shadow of Mount Elgon in Kenya. This is where, as far as most people can say, our Patient X is found, by the name of Charles Monet (a pseudonym). Using Monet as a sort of sacrificial lamb, Preston details each step of both what happens to an individual, and by extension, the world they come in contact with, during the incubation and eventual explosion of a Level 4 virus, in this case, one that goes by the name of Marburg. It's a terrifying true story that I guarantee will have you reaching for Lysol wipes and a warehouse store size of hand sanitizer for the upcoming cold and flu season. The second section follows an army couple by the name of Jaax. The Jaax's both work for the Veterinary division of the Army, and the wife, Nancy focuses on diseases, specifically, diseases that can be used as biological weapons, including Level 4 viruses. This means she wears a specially designed space suit while she's working and faces the possibility of coming into contact with a virus that can kill you within mere days on a regular basis. It's the first time Ebola is mentioned and after a scare with a strand of that deadly pathogen, Nancy continues on to head up the research on the virus discovered in Virginia. The third section is more of the action sequence, and ultimately the climax of the book. After a strand of Ebola is found in a deceased monkey from a satellite research facility in Virginia, both the Army and the Centers for Disease Control wrestle for control of the containment of the disease. Nancy's husband Jerry takes on a field leader role as he's tasked with the job of bringing a team in to euthanize all of the monkeys when it's discovered that the disease is airborne. However, questions arise when it becomes clear that only the simian are infected upon contact, but that humans survive. 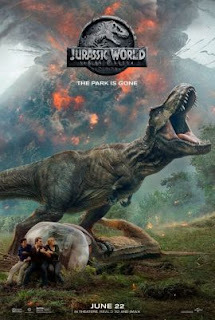 The ultimate reveal is, I suppose in storytelling terms, a bit of a letdown, but nonetheless, the story up until that point moved along at quite a nice pace, building momentum, which makes the fourth section, where the author basically just journals his own journey to Kitum Cave, even more of a trudge. The final section, for me, was analogous to those moments after the roller coast is done and you've come to final halt and then they just pull you back in to the station at a snail's pace and all you can think is "I hope I'm able to get out of this harness without looking like an idiot". For a book filled with medical and military situations and jargon, it's remarkably accessible to the layman (or woman). It's almost like a film script, with a cast of characters that are fleshed out and vivid high-risk situations that could lead to breath-holding page turning urgency. Reading it was similar to the way I felt when watching E.R., where I may have only a slight notion of what the term "tachycardia" actually means, but with visual, visceral context, everything becomes clear. More often than not after finishing a chapter, I felt like a more intelligent person who will be able to throw around random bits of knowledge about "filoviruses" at trivia nights, or perhaps even at holiday parties, since they're right around the corner. In all seriousness, I did have a discussion with my parents using mostly terms from the book, and I'm pretty sure that they thought "see our tuition money was well spent". Little did they know all they'd had to do was buy me medical books that masquerade as stories. All in all, it was an engaging read, and even if the end turns into a bit of a slow burn, the first parts are well worth investing in.